Are you expecting or know someone who is? 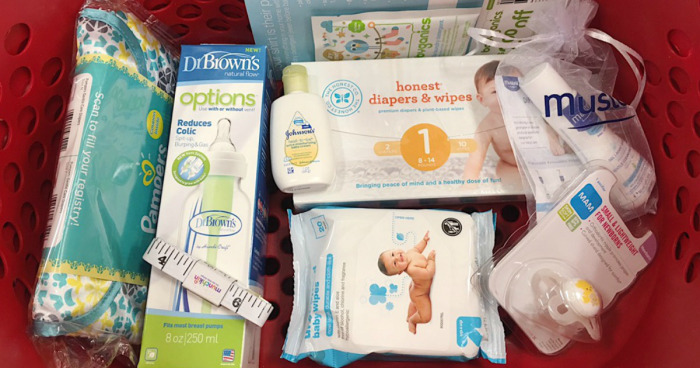 Head over to create your FREE Target Baby Registry. Just for doing so, you’ll grab a FREE Welcome Gift Package. This package is valued at $50 and packed with coupons and free samples. Plus, you’ll get a 15% off coupon to stock up on anything you need before your baby arrives (your registry needs to be active for at least 14 days before your 15% off coupon can be created).